Discussion in 'Effects, Pedals, Strings & Things' started by cutonio, May 10, 2016. Which delay should I purchase ? I own a Boss DD7 that I use sometimes for classic digital delay things and on the analog setting. But I want to have 2 different pedals to do more elaborate stuff (and having two delays will replace my reverb too). I play mostly Muse or Radiohead stuff and I very much like what I can hear of the Boss RE20 or EHX DMM from my favourite bands, and the Deluxe Memory Boy sounds very cool too (from YouTube demos), and is a little bit less expensive and has tap tempo. What do you guys think about that ? Well, the BOSS isn't analog, so if you are open to digital delays that are voiced like what you are wanting, I'd suggest a Subdecay Echobox as it gets that sound with fewer quirks than the DMM. I did not like the XO DMM's at all, personally. Echo Park is the best small delay pedal I've ever used. The ability to use the tape echo or analog sound in any of the modes is great. The reverse setting set to tape echo is incredible for spaced out ambient sounds. Also, The Deep Blue Delay, while not completely cheap is GREAT and the Seymour Duncun Vapor Trail - another excellent delay to aid in the very heady music arena! ellsworthman, mulekicker, Frankee and 1 other person like this. Go with the XO if you're after the DMM sound. Echo Puss sounds very similar, imo, while being a little cheaper. Frankee and Cgkindler like this. I own a deluxe memory boy and couldn't love it more. I use it constantly for a wide variety of musical styles, often with another delay in the DMB's effects loop for washy ambient effects. Highly recommended. delay dude, jawajt and Cgkindler like this. There are a couple of delay pedals that are often overlooked in this forum. For DMM-type sounds, I recommend the Way Huge Echo Puss. Cheaper, extremely reliable, very lush and controllable modulation, more pedalboard-friendly. Another option, with added versatility, tap, looper, FX loop, different voicings, etc is the Seymour Duncan Deja Vu. Last but not least: EQD Disaster Transport, all the versions are great. I am pretty sure Jonny Greenwood used a RE-20 at some point, so within your list, I'd go with the RE-20. The XO DMM didn't sound like an old big box DMM to me at all. The Memory Boy's modulation can do interesting things, but the repeats sound rather boring to me. Mincer and earwax like this. Get the DMM xo, you ll love it! El Capistan + DD7 would be a very versatile combo. 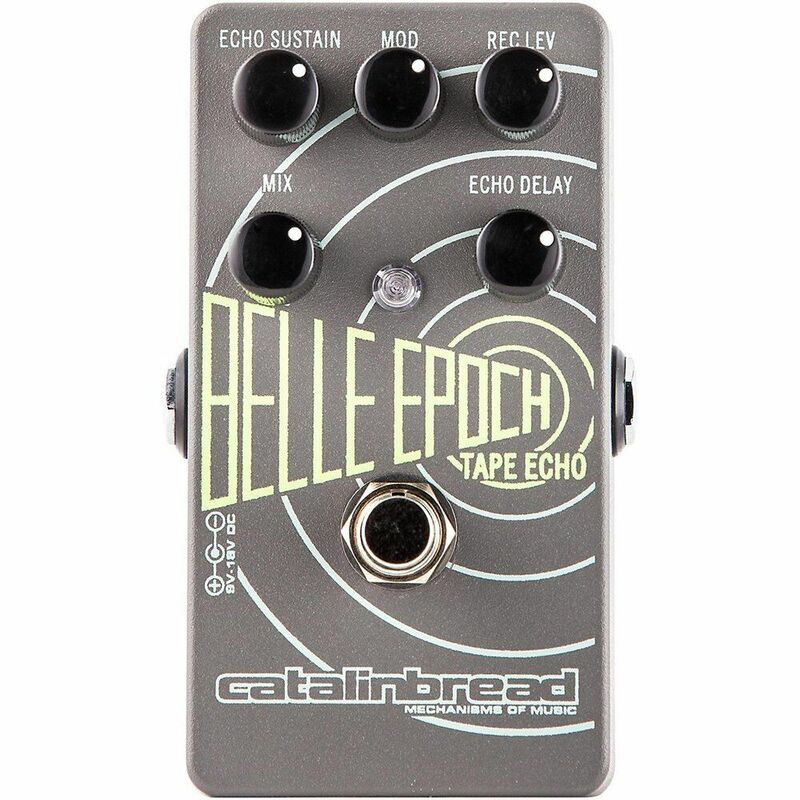 Edit: Also, the El Cap does have a spring reverb emulation if you really wanted to ditch your reverb. A decent cheap tape emulator is the Behringer Echo Machine. Kind of a clone of the Echo Park. Has an erratic tape drag (mod) knob. The Memory Boy sounds nothing like a tape unit. Waaaay too dark. Did not like it at all. Save for a Belle Epoch or even better an El Capistan. Cgkindler, mulekicker and Frankee like this. If it's Johnny Greenwood's sound you after then get the RE-20. Had an RE-201 once and then got an RE-20 because I always though the RE-201 would break on me. Don't have either any more but the RE-20 did a good job emulating the 201 and as mentioned Greenwood has had the RE-20 on his pedalboard. For the people speaking about other pedals (Echo Park, Belle Epoch, etc...). I've only been looking at pedals used by Radiohead and other guitarist I like, easy to find and not very expensive (El Capistan or other Strymons). I prefer the "classics" Boss or EHX pedals. Jonny only has the Boss RE20, and Ed had a lot of delays but always comes back to DD5 and DMM. The new album has fun delays sounds that help create textures, and even a "solo" with delay on Identikit. That's what I'm looking for. I've seen demos of the RE20, DMM and DMB and all those three sound good. RE20 and DMB even have tap tempo (but I don't use it with my DD7). I like to be able to add modulation on my delay (DMM and DMB). The Boss Waza Craft DM-2w Delay is outstanding if you're looking for analog tones. I love it alongside my DD-3.